Amin qualified in 1998 from Karolinska Institutet in Stockholm, Sweden. He has successfully completed extensive post graduate studies in advanced implant dentistry and oral surgery and obtained a Master’s degree in oral surgery from Eastman Dental Hospital in London in 2010. 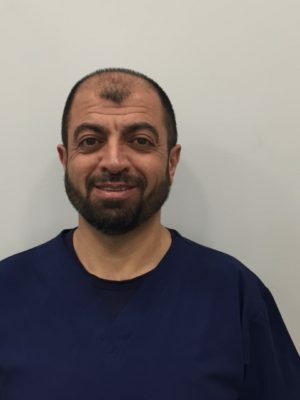 Apart from work in general dental practices for many years, he has also worked in Oral and Maxillo-Facial surgery at Queens Medical Centre in Nottingham. He currently works as Specialty Doctor in oral surgery at Addenbrooke’s Hospital in Cambridge.